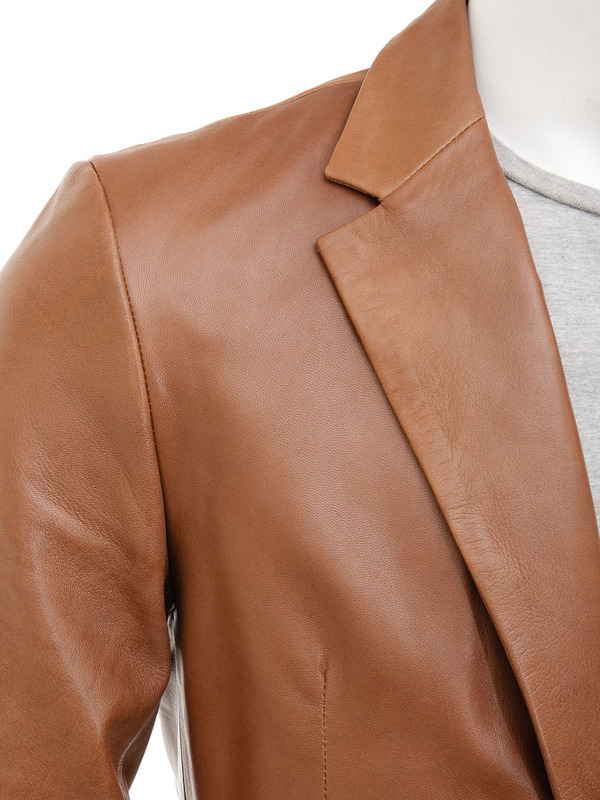 No gentleman’s wardrobe should be without the tan leather blazer. The ultimate crossover style it looks just as good with a pair of jeans and sweater or dressed up with a crisp shirt. The key is using the very best tan sheep nappa leather which is renowned for a clear soft drape and getting the cut absolutely right. 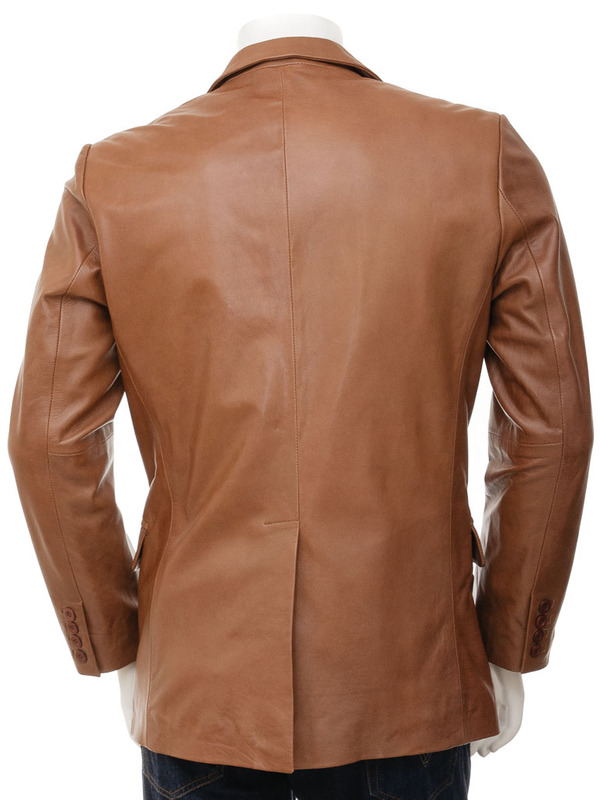 This single breasted, two button jacket is a slightly narrower sillhouette and nipped in a little at the waist. 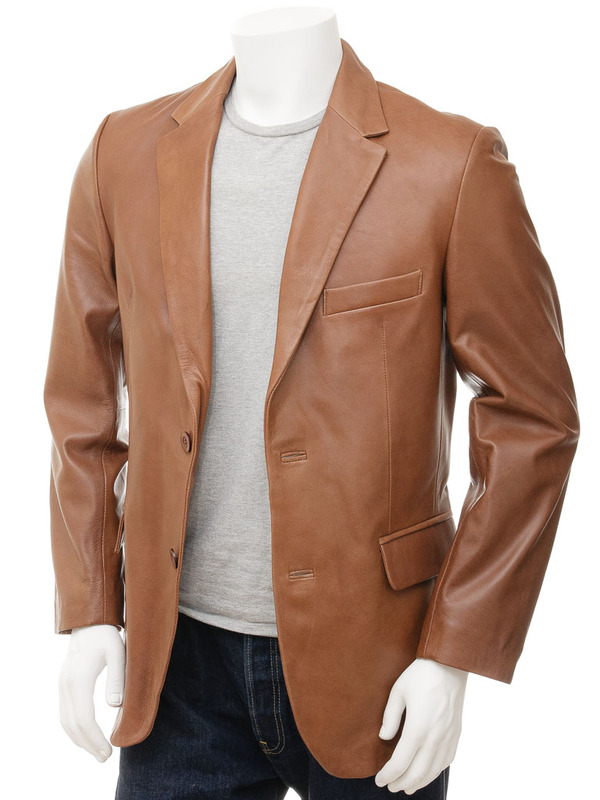 This is designed to mirror and complement the lower button break of the two button design. Attention to detail is also uppermost in our minds so you’ll find four buttons on each open cuff and a single vent to the rear. 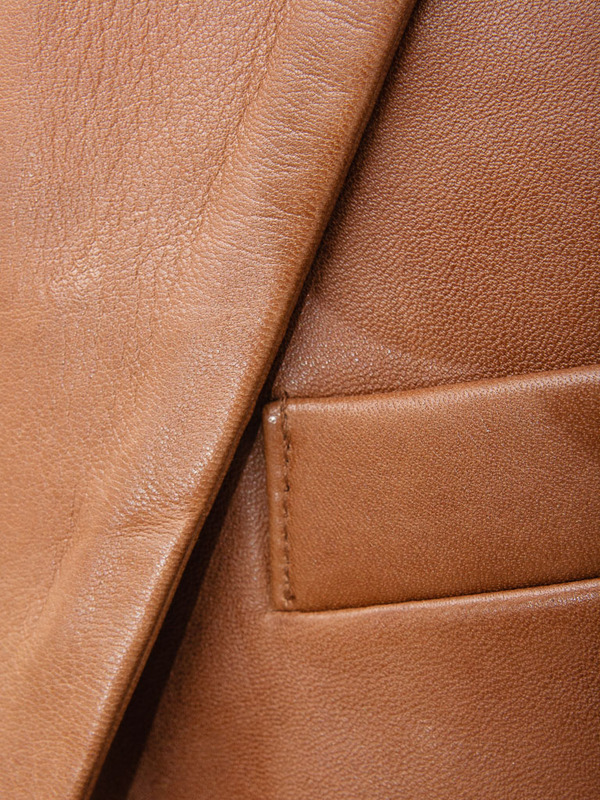 The interior is fully satin lined and includes two additional leather trimmed pockets.